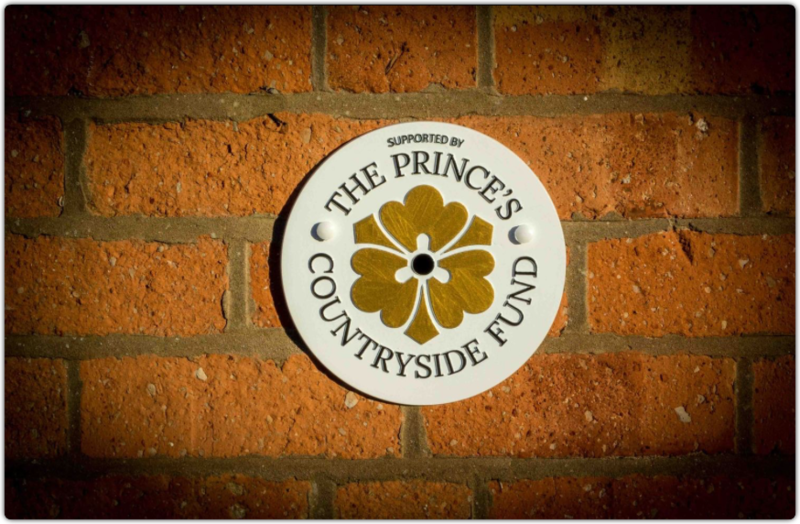 The Prince's Countryside Fund has announced that Marchington Shop has been successful in applying for a grant, and will be receiving £28,690 from the Fund, one of 20 projects the Fund is supporting in the rural economy this year, totalling £560,000.The Prince's Countryside Fund was founded six years ago by HRH The Prince of Wales to help secure a brighter future for the British countryside and those who maintain it. 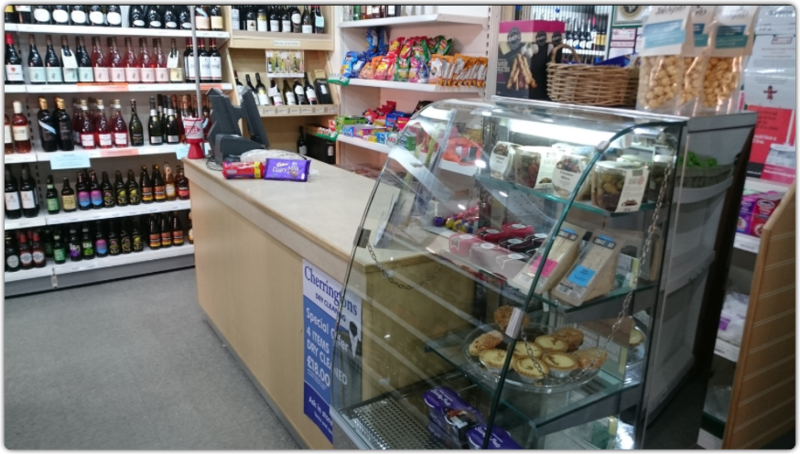 This success for your shop has happened as a result of individuals on your Shop Board deciding to assess the opportunities for external funding, and then making an application to the Fund in April. 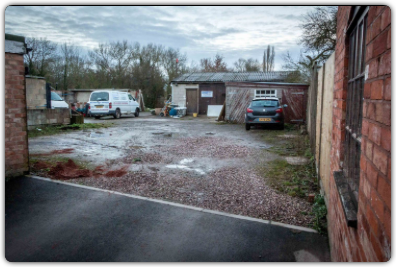 This was followed up by preparing a detailed financial and strategic Business Plan, which was sent to the Fund's Trustees for their scrutiny, and, as a result, we are delighted that we have had this resounding endorsement of our shop and our plans and are one of just three projects in the East Midlands to receive funding. 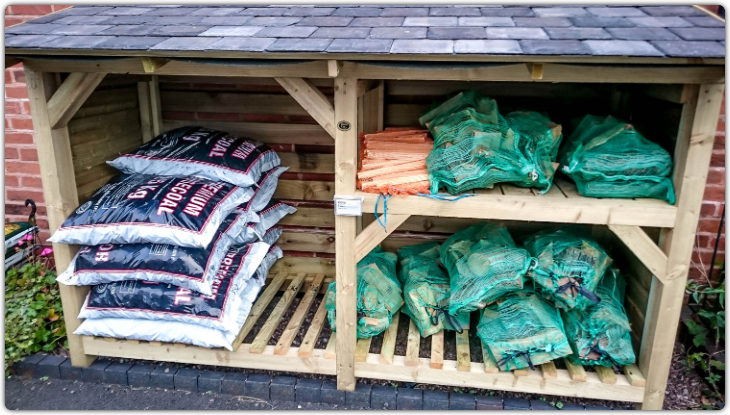 This funding is specifically for major capital improvements, both inside and outside the shop, over the next two years, including new till software to improve our stock and supply processes (sounds boring, but really important when you are running a business), new layout and shelving, new gates and car parking spaces. 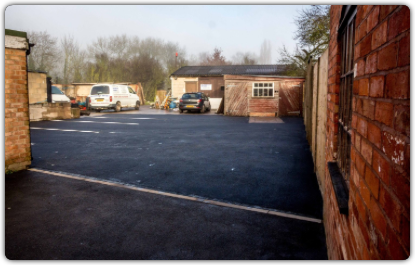 The Board will be working hard to plan and implement this set of projects and look forward to unveiling the results for its customers as soon as we can. 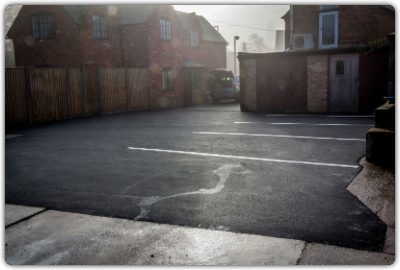 In January 2017 the shop car park was completely resurfaced and parking bays were clear marked out. 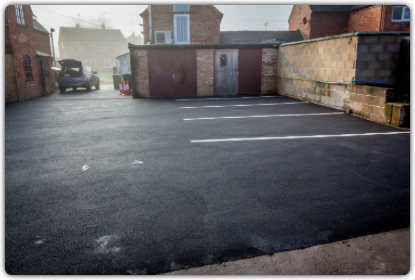 This improvement will greatly improve the accessibility to the shop for both customers and suppliers. 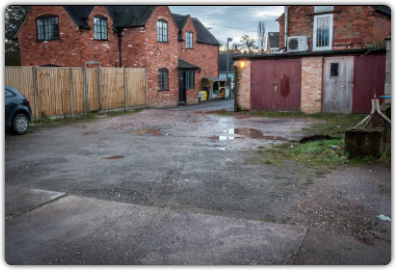 Please see the "before & after" photos below. 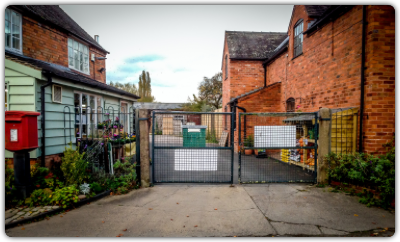 The replacement gates are "work-in-progress", Due to our position in the village Conservation Area" we have had to apply for planning permission. 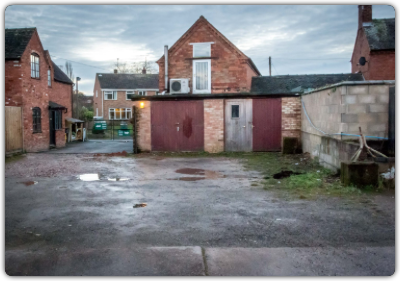 The application has been submitted and you can view the details at ​http://www.eaststaffsbc.gov.uk/Northgate/PlanningExplorer/ApplicationSearch.aspx Insert the applications number: P/2017/00088 into the search box. 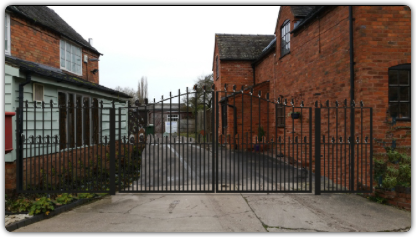 You can view a photo below of the existing gates and a photo montage mock-up of the proposed gates.